What is Step 2 after they run away screaming? Don't worry, Karen - Elephant's not going anywhere. You're just going to stop addressing it? Thank You Connie :) .. Many Huggs from Maryland. 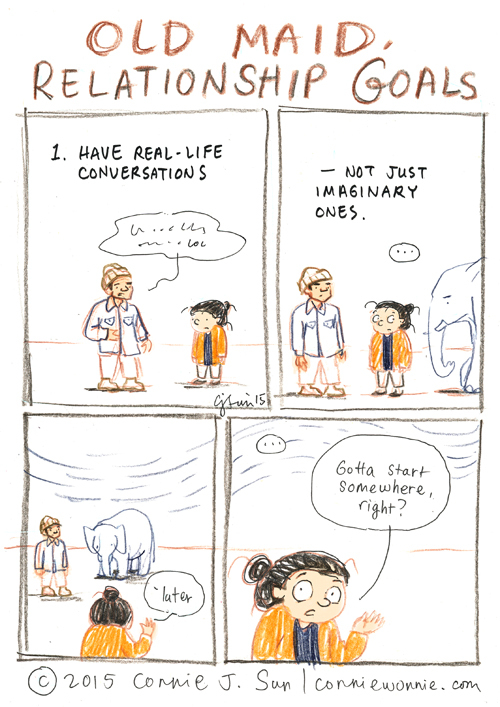 After 32 years of happy marriage, I still have imaginary conversations sometimes. And sometimes they're the best ones. Good joke!) But very often it's a joke for many people... And nowadays many people can give wrong advice like https://kovla.com/blog/dating-coaches-will-never-admit-crazy-stupid-love-lessons/ . That's why, I think that you should think only yourself and do what you want! Good luck!